NEW! 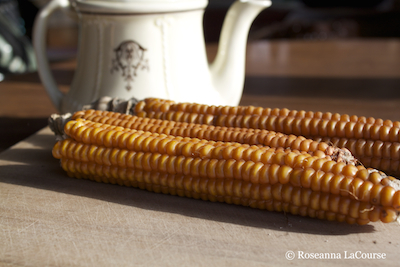 Developed by the Abenakis, this heritage corn was salvaged by Will Bonsall out of a shoebox in the little western Maine town of Byron. Expect a single stalk with 2-3 long ears with cobs like knitting needles. Yellow-orange kernels, eight rows to twelve at top. Good husk coverage, resistant to lodging. Organic.